The other day a lady I clean for had Dr. Phil on; and while I didn't hear all of it, the parts I did hear were quite ridiculous. A father said his young child needed a good whipping and Dr. Phil said, "A parent is meant to be a child's safe place. How do you think they feel if one moment you act loving and the next moment you beat them?" Obviously, Dr. Phil doesn't understand discipline at all. I do not understand people who love snow. I do not understand why snow is considered beautiful. Snow covers beauty. It smothers and freezes and kills. God created a beautiful earth. Because of our sin, the earth was cursed with a flood that consequentially messed up Earth's perfect atmosphere. And thus the Earth has ever since been put under stress by extreme heat and cold. I believe there was no snow before the flood. I believe snow is part of the curse. How is that beautiful, I ask? This is the surprise I mentioned last week. Now, please don't be sad and say, "This is ridiculous." Laughing is good to do, especially around April Fool's Day, yes? If you remember, awhile back I posted a flash fiction on my blog called Crazy as Poison Ivy. This story was inspired by true life events ;) Meaning ... it actually happened, I just wrote that story as fiction. La'el is my friend, Rashida La'el. And she actually thinks this is funny. She is the only one getting a free essential oil ... sorry, these things actually cost me a bit to make, despite being a completely ridiculous joke. Please, don't feel like you have to buy one to laugh, though. The pictures can be enjoyed in and of themselves (I hope). But if you would like to support a crazy artist, definitely buy yourself a fake essential oil! The best nights were the nights Susan slept through and never dreamed. Thankfully, the majority of her nights were such nights. But after the Pevensies broke their New Year’s Eve gathering and headed to bed, Susan’s eyes closed and she dreamed. Susan awoke on the morning of the first, shaking with unresolved emotions. She shouldn’t be sad. She reminded herself, “None of it was real. None of it.” Sunlight poured in from her frosted window and played on her coverlet. She closed her eyes and remembered seeing Aslan’s face last night in the mirror Lucy had given her. Had Lucy been playing a trick on her? Susan knew it was no trick, but her imagination messing with her. She opened her eyes to forget how real Aslan had seemed, to see the real world. “Tell the good stuff only, because there’s always plenty of time to discover the bad things." The title of this post is a line from my current WIP. Though I wrote my character being snarky as she said that, how I wish I had this much confident positivity. But, yeah, I tend to share all the sour parts and hope people still see the good things in me, as if those will speak for themselves. Maybe I should share more good and less bad. And now it's time to share all the bad things that have been happening. Because who are we kidding??? Complaining is addicting. So this month has been ... not so good. Last month I was sick, and I thought I got over it. But as soon as I thought I was better, I got sick. Again, and again, and again. My head always hurt, I was completely exhausted, and at the end, I acquired the most horrid sinus affection ... but that wasn't really the worse of it. 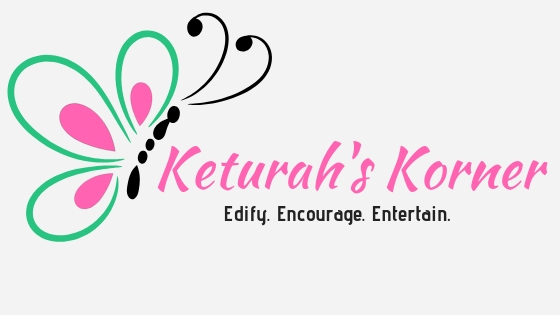 Welcome to Keturah's Korner, Cait! I'm so excited to be talking with you today. Could you start out by telling us some things about yourself? Thanks so much for having me on your blog! And hi to everyone! My name is CG Drews (also known as Cait from Paper Fury) and I'm an author and cake enthusiast from Australia. When I'm not writing, I'm trying to convince my small dog that the bed is not his (I have zero luck here) and making my own ice cream from scratch (writing fuel!). How long have you been writing and how many stories have you written? I started writing seriously when I was fifteen ... so ten years now (yiiiikes I feel old) and I've accumulated over thirty drafts. I promise they're not all very intelligible though! Can you tell us the story behind finding your agent/ publisher? Mrs. Henry was in the kitchen humming a song and kneading a lump of dough when she heard her children arguing. She wiped her floury hands on her apron and went to the edge of the room to spy on her children before scolding them. Both of her sons faced each other, their fists clenched and ready to fight. Jimmy's face flushed red with indignation as he yelled at his brother. "Mother said it's evil to lie!" Billy, the elder of the two whispered, "Sh. Mother doesn't have to know." Jimmy shook his head. "But God will know." Mrs. Henry's heart swelled with pride. Both of her boys were good boys, but Jimmy was already showing a sign of loving God that touched her just where it felt wonderful. Billy, on the other hand . . . he was a difficult child. The mother sighed making her presence known. Both boys jumped, Billy so much that he wasn't even close to his younger brother anymore. I haven't shared anything about the wall online. Not because I've been hesitant to stir up controversy—those that have followed my blog for very long know that I love to discuss the untalkable subjects half the world fears to think about — but because I've been very unsettled in my own thoughts concerning the wall. And even after much thought and study, I'm still not completely sure what I think. But I think I am finally ready to share what I am currently thinking. I just ask one thing, all my friends (trolls, too). Please read to the end before commenting. And please bear with me. I will try to share cautiously so as not to needlessly offend anyone, and I ask that no-one look for offense where it's not intended, which I do not intend ever. Most of my Trump Wall "research" I have heard through podcasts or my Dad. I've tried to listen to a variety of opinions, but most of my media intake has been pro-wall. I mentioned a while back that I've been published again! I have two stories in this anthology of twenty-eight fairy tales. I just finished reading through my contributor copy, and so I thought I'd share mini-reviews about each of the stories. First, I'll say that I didn't do well keeping track of content. Quite a few stories had language, and I think I remembered all which stories did. But I can't be certain. It wasn't an overload of language, though, so I don't think it will bother most of you. I believe the whole book had one or two B*** and a handful of D*** and then a few other crude words. And now onto the stories themselves! On the last day of the year, the Pevensie family spent the evening sitting around their fireplace passing small gifts to one another, a tradition started by Mr Pevensie’s father years ago. Peter had just opened his gift, a book called The Pilgrim’s Regress—a rather dull looking book, Susan thought, by Clives Staples Lewis. Lucy handed Susan a small brown parcel. Susan thanked her younger sister and tore the paper away. Part of her would rather be out with her American boyfriend on New Year’s Eve, but Susan couldn’t very well break family traditions without an exceptional excuse. And Mr and Mrs Pevensie hardly approved of Susan’s boyfriend as it was. Besides, Carl was spending the week visiting his family in America. He wouldn’t be home for two more days. The paper fell to the floor amidst previous discarded wrappings and Susan held a rectangular metal object. Small fiery-pink blossoms were painted on the silver encasing. Susan knew at once that it was a compact mirror.